The 11th China International Chorus Festival and IFCM World Choral Summit is approaching (15-12 July 2012), and lovers of choral music are looking forward to this unique international choral experience, in Beijing in China, as they join numerous choral experts and outstanding choirs from around the world. Throughout the past few months, the organizing committee has been contributing a tremendous amount of effort in order to create a choral event meeting international standards. One of the most significant parts of the summit will be highlighted by the opening ceremony which will be broadcast on China Central Television. Apart from speeches by Zhang Yu, President of the China Arts and Entertainments Group, Michael J. Anderson, President of IFCM and Royce Saltzman, past president of IFCM, the summit will be opened with the Beijing Declaration, which will be proclaimed and submitted to the UNESCO with the signatures of the participating countries. This declaration will emphasise the power of choral music to encourage people to live in harmony and peace as well as the need for the positive influence, value and importance of choral art to be acknowledged, and – as the country that possesses the largest number of choral enthusiasts in the world based on population – China will express its eagerness to pass on the influence of choral arts through developing choral education in China with the cooperation and assistance of IFCM. Thirty international choral experts will join the summit as delegates; with their extraordinary experience in the choral arts, they will be prepared to share their insights with the participants: as the summit schedule shapes up, two consecutive mornings have been filled with an exceptionally rich content led by delegates. Under the heading ‘Voices in Harmony’, experts will speak on topics including ‘Technology Changing the Arts’ shared by Lawrence Cherney (Canada), ‘Building Bridges’ jointly led by André de Quadros (Indonesia/India/Middle East), Maya Shavit (Israel) and Thierry Thiébaut (France), ‘Youth in Song’ by Bob Chilcott (Great Britain) and Jennifer Tham (Singapore), ‘Supporting the Arts’ shared by Philip Brunelle (USA) and Håkan Wickström (Finland), ‘Choral Music in China’ led by Yu-bin Tien (China) and two other Chinese representatives, ‘Government and the Arts’ by Ann Meier Baker (USA) and Edusei Derkyi (Ghana), ‘The Appealing Power of Voices’ by Kaie Tanner (Estonia), Josep Vila I Casañas (Spain) and Alina Orraca (Cuba) and ‘Successful Models for Choral Associations’ jointly led by Tim Sharp (USA), Gábor Móczár (Hungary) and Keiishi Asai (Japan). A forum will be held to serve as a platform for fruitful discussion between the audience and six world-famous representatives: Ambassador Young-shim Dho (South Korea), Ling-fen Wu (China), Bob Chilcott (United Kingdom), Theodora Pavlovitch (Bulgaria), Leon Shiu-wan Tong (Hong Kong, China) and a representative from the Chinese government. These experts specialize in different choral fields including youth choral development, government and politics, education, composition and conducting. Five master classes will be led by choral masters from China and other parts of the world. These master classes will concentrate on practical training supported by repertoires reflecting the topics focused on by the speakers. Jonathan Velasco (Philippines) will be the speaker for the topic of ‘Development of Asia Pacific Choral Music’ with guest speakers including Lorenzo Donati (Italy) and Eui-joong Yoon (South Korea), who will speak about choral music of their countries. Fred Sjöberg (Sweden) will speak on the topic of ‘Northern European Choral Music’ with Guy Jansen (New Zealand) and Boris Tevlin (Russia) as guest speakers. Leon Shiu-wan Tong (Hong Kong, China) will talk about youth choral training methodologies in preparation for participation in international choral competitions and festivals, supported by Stephen Leek (Australia) and Maya Shavit (Israel). 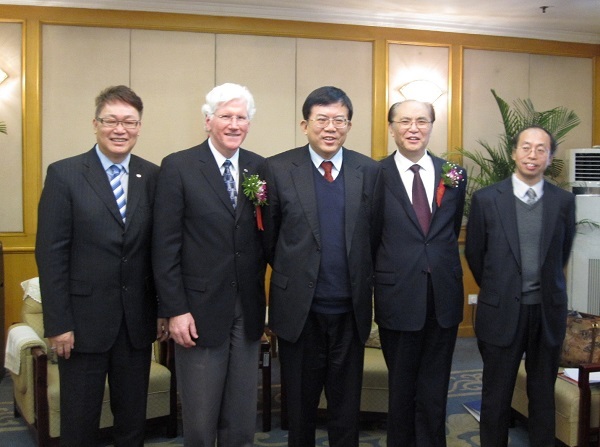 The other two master classes will be led by prominent choral leaders from China. Apart from a significant list of choral leaders, another highlight will certainly be provided by the six world-class guest choirs from five continents. These choirs will not only perform in concerts as part of the festival and summit, but each will be hosting a workshop introducing some of their most successful repertoire as well as sharing their practical choral training and rehearsing methodologies with all participants. The following biographies of each guest choir highlight their extraordinary achievements and contribution to the world of choral music. The Nelson Mandela Metropolitan University Choir consists of 55 members, both students and alumni, who come from different walks of life. 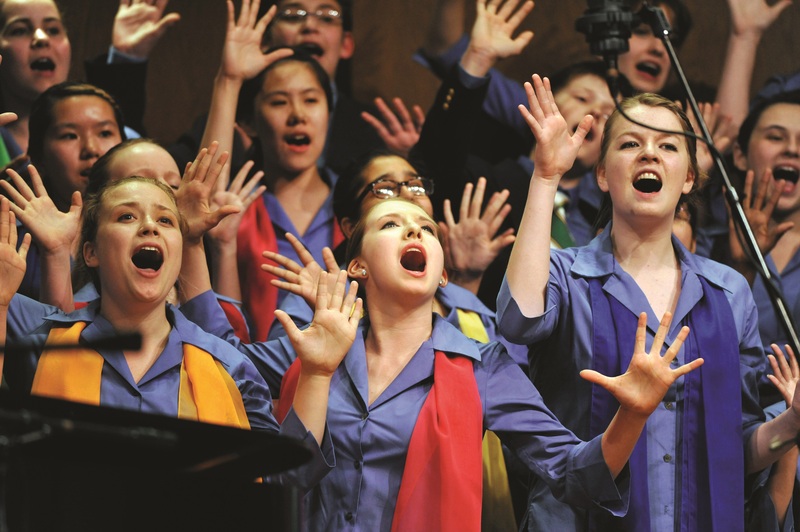 The choir prides itself in being multi-cultural in both membership and the music it performs. Since its inception in 1994 the choir has gained a reputation for its unique ability successfully to interpret both Western and African repertoire and has since become sought after at choral festivals internationally. Between 1994 and 2004 this acclaimed multi-cultural choir enjoyed numerous national and international invitations and successes, performing before President Nelson Mandela and Queen Elizabeth II and participating in the ‘FICU International University Choir Festival’, Spain, and the ‘Voices International Choir Festival’ in Norway. 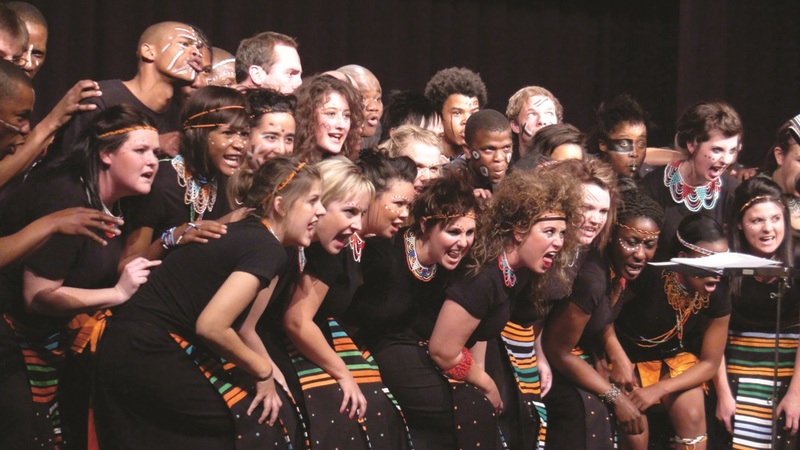 In 2007 the NMMU Choir performed in Jacksonville, Florida as well as with Chicago Children’s Choir and the Lyric Opera Orchestra at the Civic Theatre, Chicago, for the world premiere of Windy City Songs by South African composer Péter Louis van Dijk. 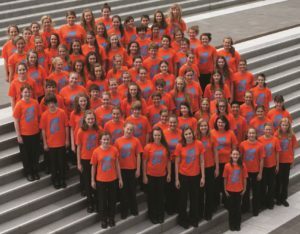 The choir won the 2009 choir competition in Spittal-an-der-Drau, Austria. In 2010 they were invited to take part in the prestigious ‘La Fabbrica del Canto’ choir competition in northern Italy. 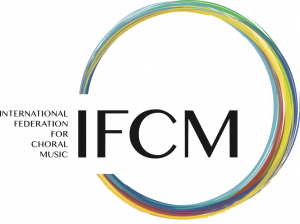 Last year the choir felt highly privileged to be selected as one of 24 choirs – the only choir from South Africa – to perform at the prestigious ‘IFCM 9th World Choral Symposium’ in Puerto Madryn, Argentina. The Vokalna Akademija Ljubljana was established in September 2008 and consists of the most experienced male Slovenian choir singers. After a successful launching concert tour in Sardegna, Italy, in September 2009 – appearing at the ‘Concordia Vocis Festival’ in Cagliari – in 2009 the ensemble participated in the 57th Concorso Polifonico Guido d’Arezzo’ in Italy and astounded both the audience and the jury by its performances, winning first prizes in four categories. This qualified Vokalna Akademija Ljubljana, as the first male choir in the history of the European Grand Prix competitions, to take part in the competition for the European Grand Prix 2011 for choral singing. At the ‘International Choir Competition in Tolosa’ (Spain) Vokalna Akademija Ljubljana – among five other competing grand prix winning choirs – finally won the prestigious ‘Grand Prix Europe 2010’ award, as the first male choir in the history of this competition. Afterwards, by special invitation, the ensemble successfully participated in the world-renowned festival of professional vocal ensembles ‘Polyfollia 2010’ in St. Lo, France and performed at numerous concerts. In September 2011 the Italian Ministry of Culture and the Guido d’Arezzo Foundation awarded Vokalna Akademija Ljubljana the prestigious ‘Guidoneum Award 2011’. For more than two decades, the Young People’s Chorus of New York City has provided children of all ethnic, religious, and economic backgrounds with a unique program of music education and choral performance, while maintaining a model of artistic excellence and harmony that enriches the community. YPC, founded by its Artistic Director Francisco J. Núñez in 1988, has become one of the most celebrated and influential children’s choruses in the world, performing around the globe, releasing acclaimed recordings from across the musical spectrum, and collaborating with many of the most highly regarded composers, performers, and organizations of our time. 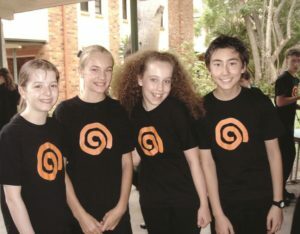 YPC has received worldwide recognition for its performances on three continents, including debuts in Wales and Switzerland in 2010 followed by its third trip to Japan in a 14-city summer tour. 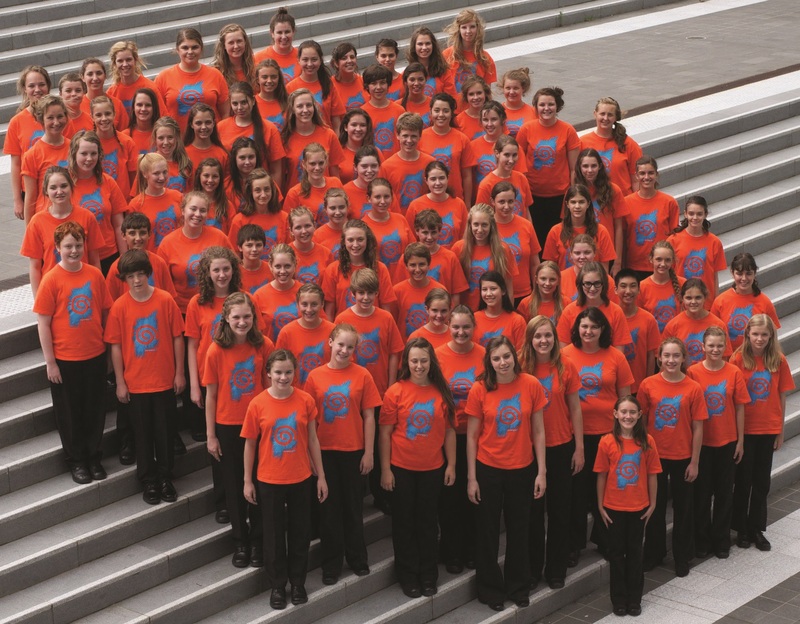 In the summer of 2011 YPC made its South American debut with a tour of Brazil and Argentina, to be followed this year by performances in the Dominican Republican and in Stockholm, Sweden, at the ‘2012 Adolf Fredrik Choral Festival’. The chorus holds almost a dozen gold medals won in international choral competitions. YPC was among the first inductees in the WNET/Thirteen Community Hall of Fame [a public media provider based in New York – Ed.] and has been recognized for its work with urban at-risk youth by the New York State Assembly, the Mayor of the City of New York, the Manhattan Borough, and by the President’s Committee on the Arts and Humanities as “a national model of artistic excellence and diversity” under three administrations: Clinton, Bush, and Obama. Schola Cantorum de Venezuela was created in 1967 under the name Schola Cantorum de Caracas. Schola Cantorum were quick to establish themselves as an important force in Venezuelan culture. Their exceptional performances and commitment to performing new and innovative repertoire linked the ensemble to the international choral scene. The Schola Cantorum de Venezuela has participated in various symphonic and choral productions, many of which were national premieres. The choir has also participated in opera performances. In total, Schola Cantorum de Venezuela has produced more than 12 recordings in collaboration with the Simon Bolivar Symphonic Orchestra. 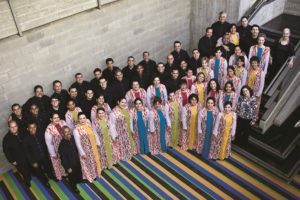 In September 2000, Schola Cantorum travelled to the European Music Festival organized by the International Bach Academy to Stuttgart, Germany to premiere the Passion According to St. Mark by Osvaldo Golijov, with Maria Guinand conducting. Two years later, this recording was nominated for a Latin Grammy award. Most recently, Schola Cantorum has released a new recording of the same piece and was awarded Best Recording of the Year in the Choir/Contemporary Music category at the ‘Echo Klassik 2010 Awards’. The Passion According to St. Mark was selected to open the ‘International Festival of the Arts’ at the Sydney Opera House in Sydney, Australia in 2003. The Schola Cantorum de Venezuela and its principal director, Maria Guinand, captivated the audience for three sold-out nights. Their performance of the work was nominated for the Helpmann Award, and later, that same performance was presented with the Olivier Award. The Asia Pacific Youth Choir is original in its concept, bringing together talented young singers aged 18 – 28 years from the Asia Pacific region. The Asia Pacific Youth Choir is established as one of the most remarkable musical and intercultural experiences on offer to young singers in the Asia Pacific region. In his life’s work within Korea, Hak-won Yoon, the conductor nominated for the Asia Pacific Youth Choir’s 2012 season, has made choral singing into a national art, allowing the world to know of the greatness of Korean choral music. Through his forty years of leading the World Vision Choir, the Dae-woo Chorale, the Seoul Ladies’ Singers and the Incheon City Chorale, he greatly raised the standard of Korean choral music and made it popular with the public. Now, he is discovering young Korean composers, encouraging them to write new and ground-breaking Korean choral music and introducing it to the world, thus leading the Korean wave in choral society. As one of the most prominent choral festivals in China, the ‘11th China International Chorus Festival’ expects to welcome 150 to 200 choirs from China. As this is planned as an international event, we certainly wish to receive more support from outstanding choirs from south-east Asia, Europe and other parts of the world. We anticipate receiving a lot more applications by the deadline in March 2012. This significant choral festival has been organized in a unique way that does not only focus on competition; more importantly, through inspiring talks, training and concerts, we wish to encourage voices in harmony in China and the world.